Opinions on WeatherFlow smart weather stations? Topic: Opinions on WeatherFlow smart weather stations? 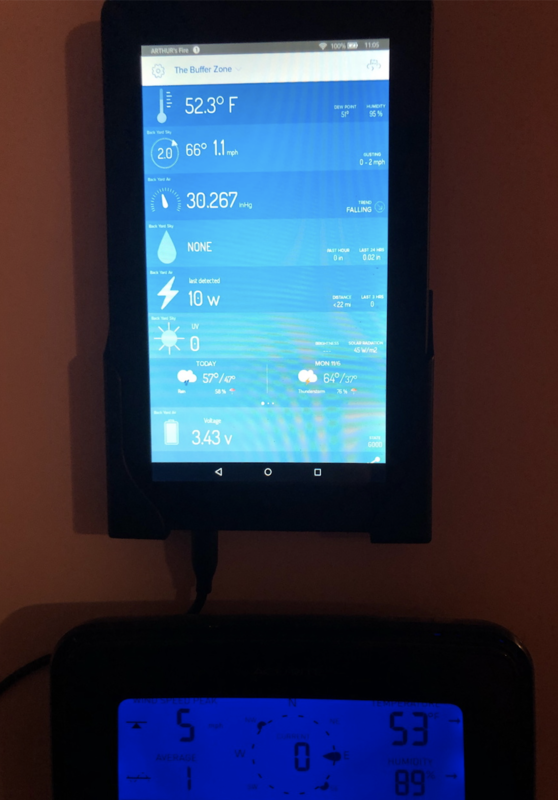 Re: Opinions on WeatherFlow smart weather stations? My other issue is that the AIR seems to be a bit "deaf" with regards to lightning. The Atlas picked up 25 strikes during today's storms. Zero for the AIR. Even though it's going to put the AIR in the sun, I'm going to relocate it near the Atlas and see if that makes any difference in lightning detection. I did notice a "Lighting Disturber" sensor status tonight for the AIR. I'm not sure what's causing that or why it isn't going away. I'm thinking the Davis 7714 shield it would fit inside also. They have a nice platform inside to hold sensors and for passive shield works well. Update on my WeatherFlow issues. WeatherFlow customer service is great! The sent me a new AIR because of my lightning issue with a pre-paid mailer to send the old one back for analysis. The new one is now in service. Also, I noted the UV reading on my SKY was way too high (e.g. almost 8 when forecast and Atlas readings were 3) compared to my Atlas and the EPA forecasts. WeatherFlow support checked it remotely and made an adjustment on their end. Now there is much agreement between them! Any user updates on Weatherflow? I've been looking at them all and it looks to fit the bill for what I am after. I'm in the Desert and need humidity reading below 10% most of the year so that thins the heard a lot. I also like that fact the Metrobridge can grab the data. It would make a nice Xmas present for myself! I too am interested in any updates. Is there any way to connect this to some type of base station as you would with most PWS? Let's see Davis or any other PWS vendor sell a color touchscreen console for $49! Thanks for the pix, very nice. Can the display be set to a continuous 'on' state? Also, as you have both the Davis (as I do) and the WF, what do you see as the pros & cons of each? There are free Android apps to keep the screen on 24/7. I'm using one of them, but don't recall which off the top of my head. WF's haptic rain sensor is currently a work in progress. They are developing a continuous learning process to calibrate each individual unit, and there is a lot of promise in their idea of a rain gauge with no moving parts. Just keep in mind that it can't measure snow/melt. The one unique thing that it can do is detect and alert on the start of rain when it detects the first drops, which is useful in home automation and for sending smartphone alerts. Right now, I wouldn't use the WF station by itself without a good tipping bucket of some sort for measuring rainfall manually. 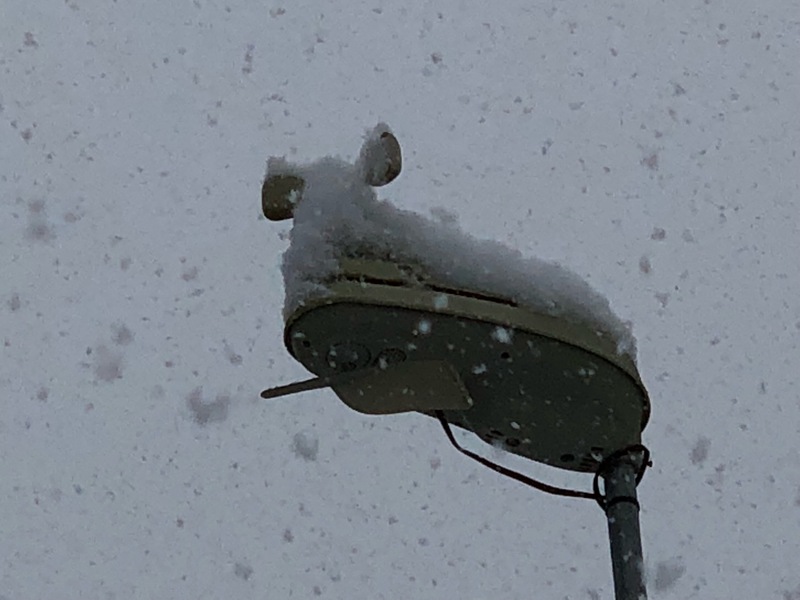 WF's strong point is making your station data available via multiple vectors, from their cloud service all the way down to local UDP broadcasts of live 3-second (wind) observations on your local network segment. As the person who developed/shared the weewx station driver for weatherflow-UDP, I'll say that it is child's play to grab the data and do whatever you want with it. The person who came up with this idea at WF deserves a Nobel Prize, and every other vendor should make it so easy! Vreihen, thanks for the info! I really do like the elegant nature of the WF sensors and the fact that it's devoid of any moving parts. As you say, there are some issues, but it looks like most of them will get ironed out with time. I'm happy enough with my VP2, although frustrated with the dated nature of the hardware (particularly the base units), that I'll sit tight and see how things progress at WF. I have been considering a WF, but recently the Lufft WS10 was brought to my attention. Doppler precipitation measurement. Radiation shielding is my remaining question before beginning to convince my wife of the dire need for an upgrade to the PWS. Nice... but on sale for $1199 USD? Well, you can get it for a bit less. If I am looking for better quality, etc. why not add the bonus of Doppler? I’m holding out until I know it will be accurate in sunlight. I can’t see any way that it is going to be in a radiation shield. Lufft does good work though, so I’m hopeful. Looks very nice! All of the pictures don't show radiation shield so you might be good. I would be interested in how you grab the data, be nice if a Meteobridge could parse thru it. if that was the case, I would be interested in the Lufft as well. 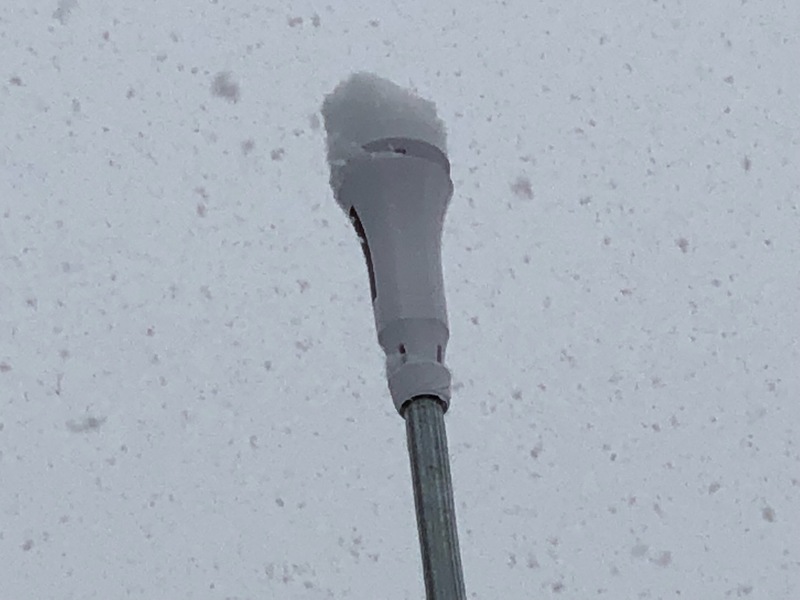 I picked up a Weatherflow, nice unit, I had to put bird spikes on it to keep it from measuring precipitation when Birds landed on it and I have a new rubberized mount I need to install to reduce false rain readings in high winds, so we will see how it goes! Yeah, I too kinda gave it a when looking at it last night. And at $1000+ a pop, I think you're paying for all that stuff to be crammed into one space. I also noticed how they mention it's a "good price performance ratio", not sure what standard they use, I guess the "everything crammed into one place" standard. Thanks for that. I have no idea what specs I looked at, but confirmed that it isn't very good at all for a PWS. I have a WS10 and while it's not a bad unit, I'd probably opt for the WS700 instead. Unfortunately, the lowest I've seen the WS700 listed for is $3,828.00. If anyone comes across better pricing do give me a shout. The one application where I think the WS10 really does shine is automation. look out for the new improvements recent kit arrived as some improvements over the original . still the slickest looking newcomer to the market and it can only get better and really doesnt getting any simpler in terms of installation..
cant achieve 100% shade all year round . being that it is a campaign funded product changes dont always come overnight or in a timeframe everyone may expect or want but comparing to last years models the recent additions are beneficial.this is my sixth package and this the first that has had no anomalies out of the box so its worth noting the guys at weatherflow do listen and take constructive realistic ideas away and put them to practice . I'm glad to see a solar panel option. I do wish they would also make a wired adapter. If a wired option (for power) was available they could perhaps add a heater to the dome. weather34, I was about to pull the plug on one. So should I wait for this new version? So the solar panel module has a battery pack built in? heater more additional costs could always make your own using the plated contacts..
What happens when there's insufficient sun? Super-cap? If only that, how long will it last? Page created in 0.062 seconds with 49 queries.